One of the nastiest controversies in local government in Iowa in many years was the impeachment in May of Muscatine Mayor Diana Broderson by the city council. The case isn’t over. She has appealed her removal from office. I’m not here to pass judgment on the council’s decision. That’s something Muscatine residents can do in next month’s city election. 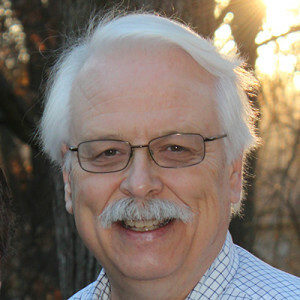 But I do know this: City Administrator Gregg Mandsager owes it to residents to be more forthcoming with public records. Those records would allow people to make informed judgments about the council’s actions, about money the city has spent on the case, and about discussions among council members and Mandsager leading to the impeachment vote. Mandsager has acted to keep people in the dark about these legitimate questions. His actions illustrate a flaw with Iowa’s public records law that needs to be corrected by the Legislature. People having a right to monitor and evaluate government officials’ actions. Iowa’s public records law was written with this in mind. But that’s not how Muscatine is carrying out the law. For example, the law allows people to inspect bills submitted by vendors or service providers to any state or local government body. That includes bills from Brick Gentry PC, the West Des Moines law firm that represents Muscatine. The law also classifies written communications among Muscatine City Council members and Mandsager as public records, too, unless they can point to a section of law that makes communications about the impeachment confidential. 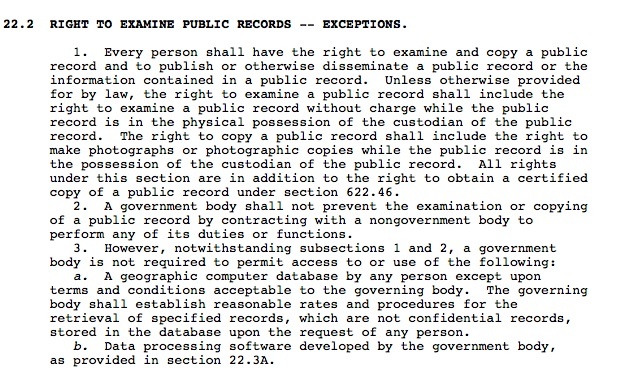 The public records law is worthless if people cannot afford to pay the fees to examine government records. It’s obvious to those of us who believe in government accountability that these fees are the way City Hall is limiting in-depth public scrutiny of the impeachment. WQAD-TV in Moline asked Mandsager how much the city has paid Brick Gentry for its work on the impeachment case. Mandsager said he could not answer because the lawyers’ bills are not recorded that way. The law may not require him to make those calculations, but the law does not prevent him from answering the simple question many people are asking. WQAD then asked for all invoices Brick Gentry submitted. Mandsager first said it would cost $412 to retrieve them, to review the bills and make copies. When the work was completed, however, he said the station owed an additional $848, bringing the total cost to $1,260. The 134 pages of Brick Gentry invoices provided to WQAD are all but useless. That’s because (a) it is impossible to calculate the total amount the law firm billed, (b) Mandsager removed the description of the attorneys’ work on all but one line, thus preventing citizens from determining whether the charges involve work on the impeachment or on other city matters, and (c) the city administrator decided to blank out the law firm’s charges on many pages. A footnote: The $1,260 in fees WQAD paid include 8 hours of time, one full work day, that Mandsager said it took his secretary to retrieve the lawyers’ bills and 12 hours of his own time that Mandsager said he spent reviewing and redacting portions of the 134 pages. Those 12 hours come out to an astonishing average of almost 5.5 minutes per page. Mandsager justifies the redactions by claiming the details on the invoices involve the attorneys’ work product. Releasing the bills intact would violate attorney-client privilege, he claims. That privilege belongs to the city, not Brick Gentry, and Mandsager could waive that privilege and make public the details if he wanted. Instead, he chose secrecy over transparency. There is no justification for redacting the amounts Brick Gentry billed. Access to government records should not be dependent on someone being independently wealthy and able to pay breathtaking amounts to monitor their government. The position Mandsager takes goes against the spirit of openness that is the foundation of Iowa’s public records law. This is wrong, and the public should let him know that.